After months of searching, weeks of speculation and a tense build up in the days leading up to the inaugural Achill awards, the winner was announced in Gielty's, Dooagh on December 19th last. Vincent English of 'Achill Island Holidays' who organised the event said "it is high time people working within the community get recognized for the work they do. They give their time so freely and never seek recognition or thanks. There is, and always has been a meithal spirit on the island, people working together for the betterment of the entire community". He continued, "when I launched the search for Achill Person of the Year, many names were submitted, all of which could easily have been a winner. To whittle all those names down to three, (Anne Carroll-Cattigan, Marty Gallagher (Twin) & Sean Molloy) was hard but to choose an overall winner is near impossible, a task I don't envy of the judges. Councillor Rose Conway Walsh, Michael Gallaghar - Western People, Paula Gallagher - Achill Pharmacy and Liam Kelly, Achill Bogwood". Vincent introduced Pauline McSorely, an artist and author from Tyrone who has made Achill her home. She read out very detailed profiles of each of the candidates and announced Anne Carroll-Cattigan from Achill Community Charity Shop the overall winner and the first ever to be named Achill Person of the Year. Overcome with emotion, Anne thanked everyone involved and said she was truly surprised and so great-full to be nominated and said she never expected to win. She congratulated the other two finalists and acknowledged the good work they do for Achill. When St. Vincent de Paul decided they were going to close the Achill charity shop, Anne along with her husband James weren't going to stand by and see it close so they reopened under the new name, 'Achill Community Charity Shop', together with their volunteers they raise thousands of Euro each year which they donate to various Achill Charities and events, a fantastic fete considering they are only established in their own right for just two years. Anne's mantra is, 'What's raised in Achill, stays in Achill'. Michael Gallagher spoke about the great community spirit among the people that is so evident in Achill and is glad to see now there is a place they can be recognized for the good they do. Vincent English said "when he launched the search for Achill Person of the Year, one name kept coming up, again and again and for all sorts or reasons. The work that this person has done throughout his life couldn't be contained in a decade, let alone a year, so it was decided to create another award. That award was a lifetime recognition award and was presented to John (Twin) McNamara. Vincent presented a slide show that was put together by Thomas English, Dooagh outlining the contribution John has made to Achill over the years. John thanked all involved for this recognition and talked of Achill from his experience over the years and how he has seen it change. He looks forward to the future and is proud to see the younger generation coming forward with such positive attitudes and pride of the place they were born. Rose Conway-Walsh said "It is an excellent initiative to award someone Achill Person of the Year, I am delighted to support it and congratulate the winners and all involved. I hope it continues to grow and develop over the coming years". Following the awards, music was provided by members of Scoil Acla, the very school John McNamara revived in 1985 which has gone from strength to strength and has just celebrated 30 years since its revival. Special word of Thanks to all who supported this event: Alan & Maeve Gielty, Gielty's Bar & Restaurant; Liam Kelly, Achill Bogwood; Kieran Sweeney, Achill Sound; Anthony McNulty, Bunnacurry; Calvey's Butchers, Keel; Rory Sweeney, Sweeney's, Achill Sound; Councillors Rose Conway Walsh and Paul McNamara. Terence Dever, CFAA, Crumpaun. Vincent English said the response he received from these businesses was overwhelming and urged everybody to support local, buy local, these are the people providing local jobs. It is a proven fact, 45% of money spent locally stays in the area. He thanked all for attending the event and looks forward to it growing year on year. 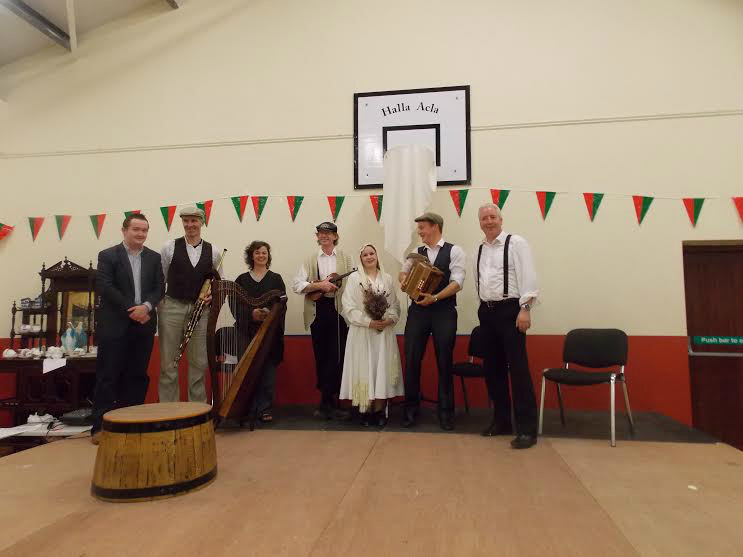 A fantastic night was enjoyed by all who attended a recent performance of a traditional Achill Wedding. It was held in conjunction with Achill Heritage Weekend. Emmett Callaghan was compere for the nights events which included a talk by Kevin Toolis and readings from John F. Deans book, Give Dust a Tongue, which were signed and donated by the author. The Bride was played by Siobhan McGinty who also wowed the crowd with her Sean Nó's dancing on a barrel, she was accompanied by Cian McNamara on accordion who also played the Groom. The Strawboys entertained the packed hall with their dancing and The Caileach & The Sean Fear were there to mingle with the unsuspecting crowd. Laoise Kelly played the Harp and John Butler played the Uileann pipes with Diarmuid Gielty playing the fiddle. The performance was all put together by Achill.ie who promotes the Culture and Heritage of Achill Island through their page on facebook. Vincent English said he was delighted with the night and the attendance. It was a fundraiser for the Franciscan Monastery in Bunnacurry and would hope to put on other events in the future. He went on to say, Thank you to all who took part in the event, it is so good to see such talent on one stage, promoting the strong traditions that are still in everyday use on an island so rich in culture and heritage. Special word of thanks to Olivia Sweeney of Achill Island Flowers for providing a bouquet of traditional wild Achill flowers and heather for the Bride"
Introducing a Gourmet Flavours of Achill Hamper, packed full of local Achill produce. Only €149 + €15 Delivery Nationwide. 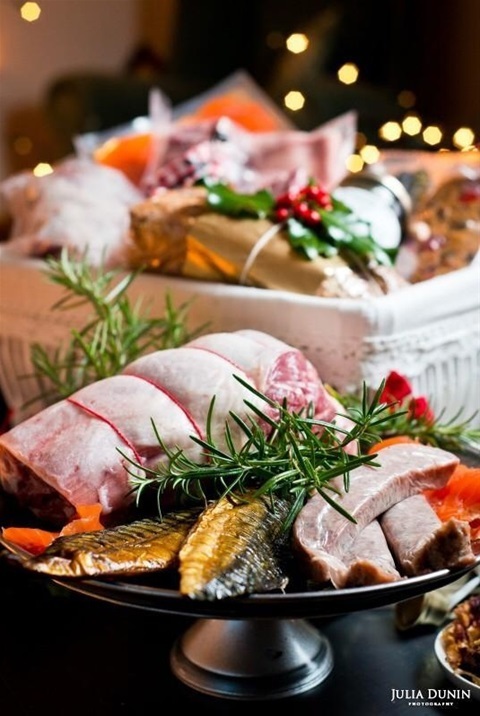 Order before the 10th December to gaurantee delivery before Christmas. 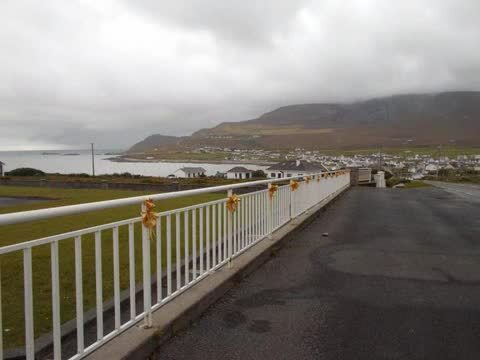 Remembrance Day Ceremony in Achill, Sunday 9th November. 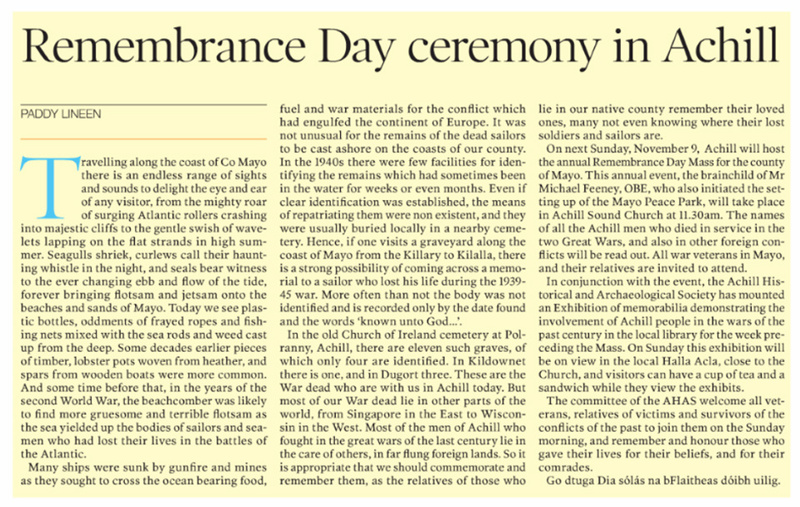 A remembrance ceremony will be held in Achill Sound Church on 9th November at 11:30. In conjunction with this event the Achill Historical & Archaeological society has mounted an exhibition of memorabilia demonstrating the involvement of Achill people in the wars of the past century in Achill Sound Library for the week preceding the mass. On Sunday this exhibition will be moved to Halla Acla, Achill Sound. Refreshments available, All are Welcome.